Members gathering at the domestic airport, take the scheduled flight to the capital of Italy: Rome. At arrival, transfer with our bus to the restaurant for dinner. After dinner, transfer at the hotel, rest and overnight staying in Rome. 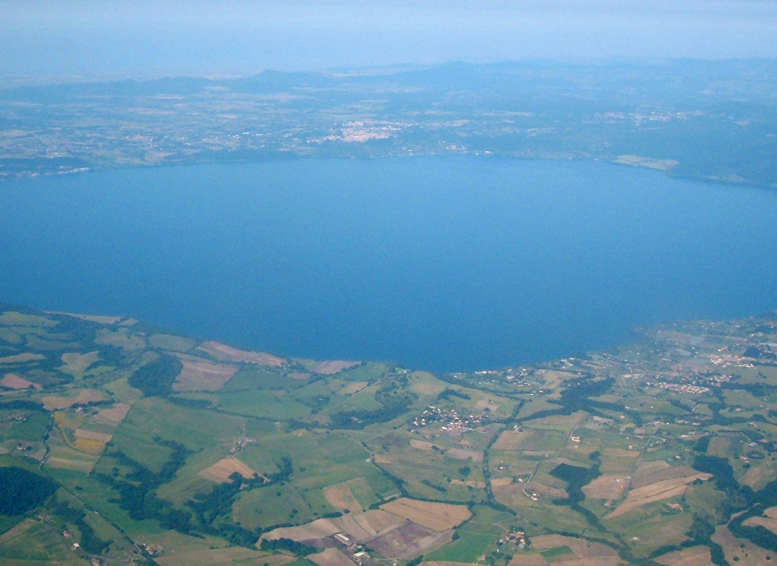 After breakfast, travel to Bracciano, the town has two famous attractions: one is the famous Lake Bracciano of volcanic origin, the other one is the Orsini- Odescalchi Castle, a famous Renaissance military building. It became famous in the world also because of the fairy tale wedding of the stars Tom Cruise and Katie Holmes in 2006. Dinner and overnight staying in Viterbo area. 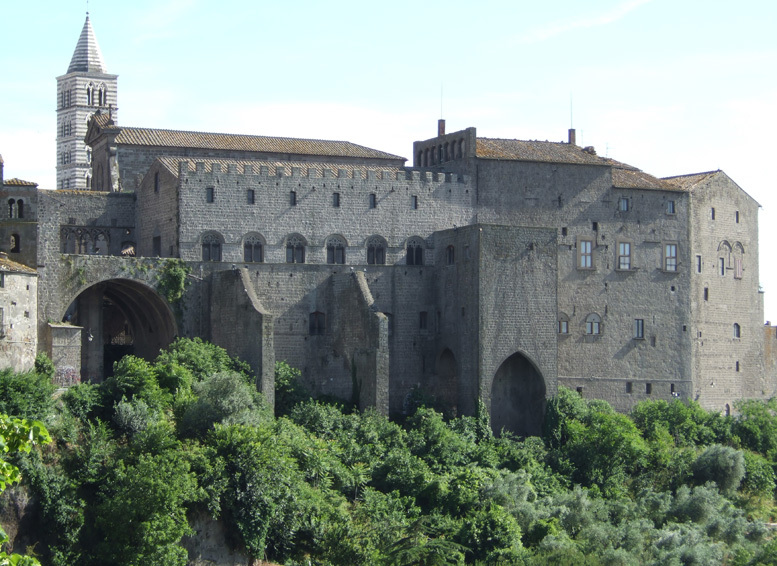 After breakfast at the hotel, travel to Viterbo, an ancient city with more than 700 years of history, which from 1267 to 1281 was the Pope’s residence. Its Main attractions are Palazzo dei Papi (Papal Palace), St. Rose Church, the ancient village of Civita Di Bagnoregio, and Vico Lake. The weather is warm here, there are distinct seasons: dry summers, rainy winters. It’s charming all year round, at any time you visit these places you feel very happy! After dinner, go to Terme di Stigliano thermal area for rest and overnight staying. 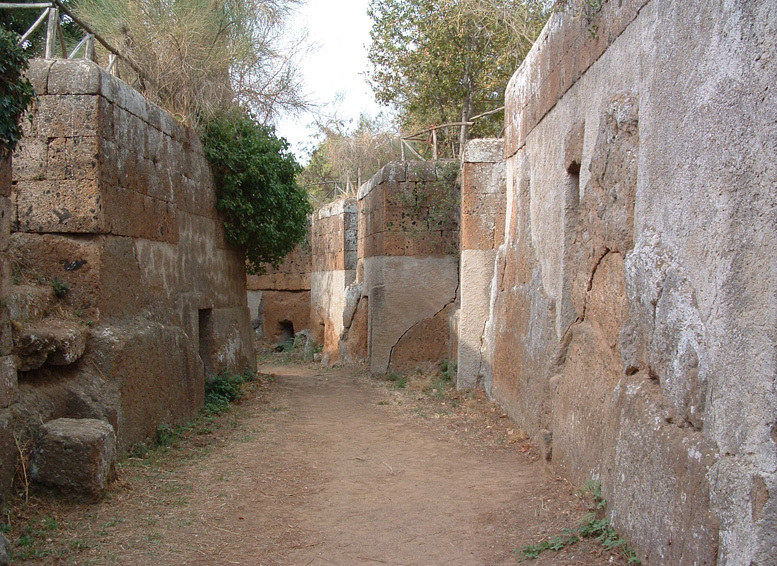 After breakfast at the hotel, transfer to Tarquinia, whose most famous attraction is the Tarquinia Etruscan Necropolis:This necropolis was discovered in the 12th century. Before the establishment of the Roman Empire, this was an important political and religious center, and then was a medieval old town district. Here the most worth visiting attractions are the Archeological Museum and the Ancient Tombs District. Dinner and rest at the hotel in Rome area. After breakfast, start visiting Orsini Castle. Built in the 15th century, the castle both presents Roman circular amphitheater’s bricks and Renaissance style. Interiors are mainly in late Gothic style. 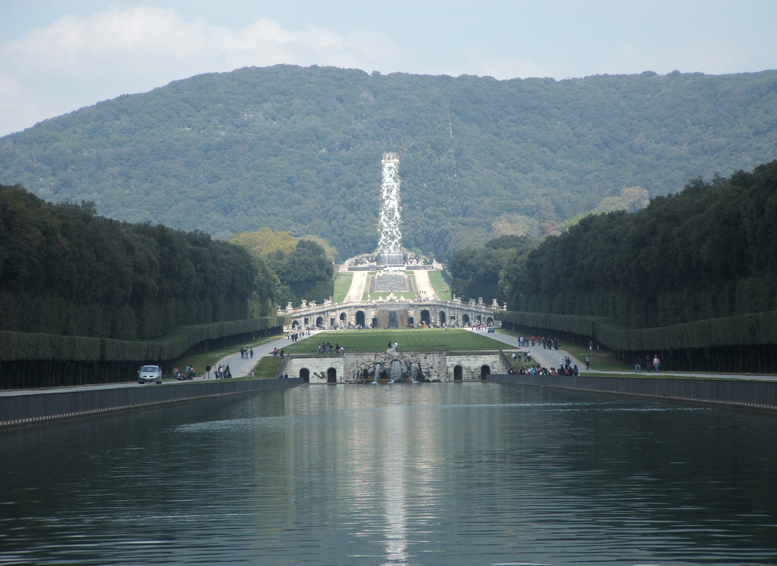 In the afternoon transfer to another south Italian city, Caserta; at arrival go and visit the Caserta Royal Palace, very similar to France’s Versailles Royal Palace, which has world famous majestic palaces and very elegant gardens. 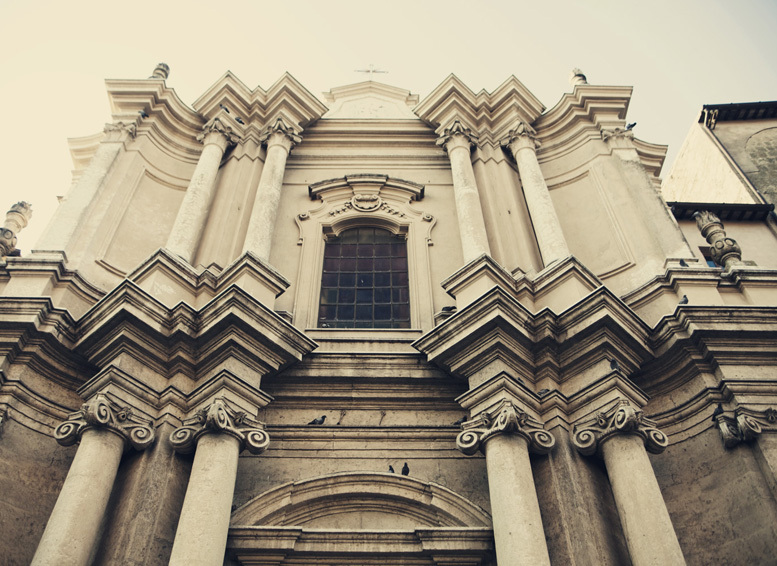 Caserta is also a city with a special historical significance. 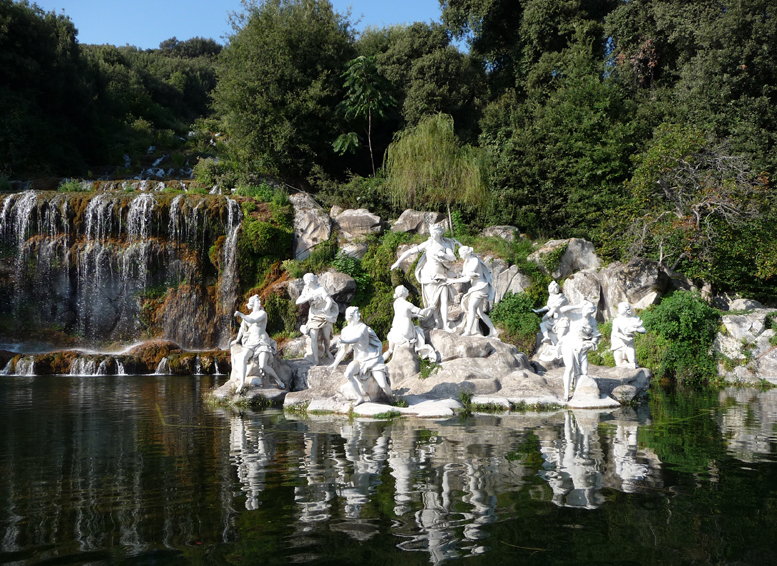 After dinner, go to the hotel for rest and overnight staying in Caserta. After breakfast, go to visit the Villa Matilde local winery. Villa Matilde winery has a long history and maintains an ancient method for making wine, moreover, in 2011 it won the “Three Cups Award” honor of the “Italian Wines Yearbook”, for its refreshing white dry wine. In the evening transfer to Naples for dinner and overnight staying. 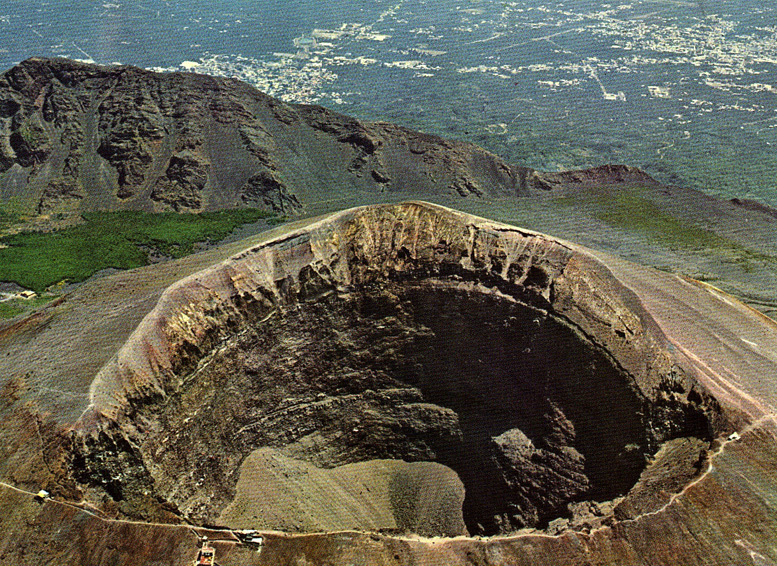 After breakfast, go to visit Vesuvius Volcano. This is a worldwide famous active volcano, and is also the only currently active volcano in European continent. Then, go to visit the ancient city of Pompei. This ancient city had already had 700 years of history before its destruction. The earliest inhabitants were Osci People; in 79 AD it was engulfed by Vesuvius, and was discovered in 1709; in 1860 large-scale excavations started and in 1997, it was listed by UNESCO in the "World Heritage List”. Dinner and overnight staying in Sorrento. Here you can enjoy a deep blue sea and a tortuous coastline, clean streets and beautiful flowers, and this is the reason why a large number of visitors often come here on holiday. If the weather is good, you can also visit to the island of Capri. 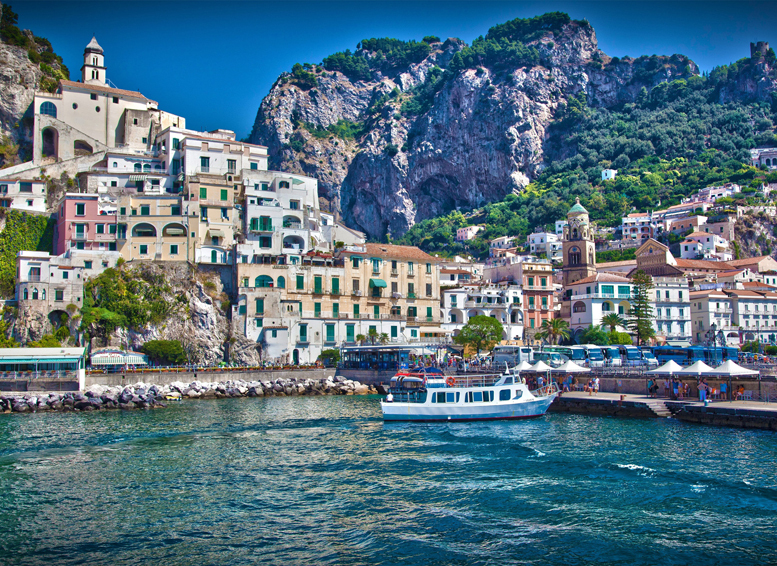 Then, proceed to visiting Italy's famous Amalfi Coastline; starting from the little village of Positano, where the landscape is a continuous surprise. 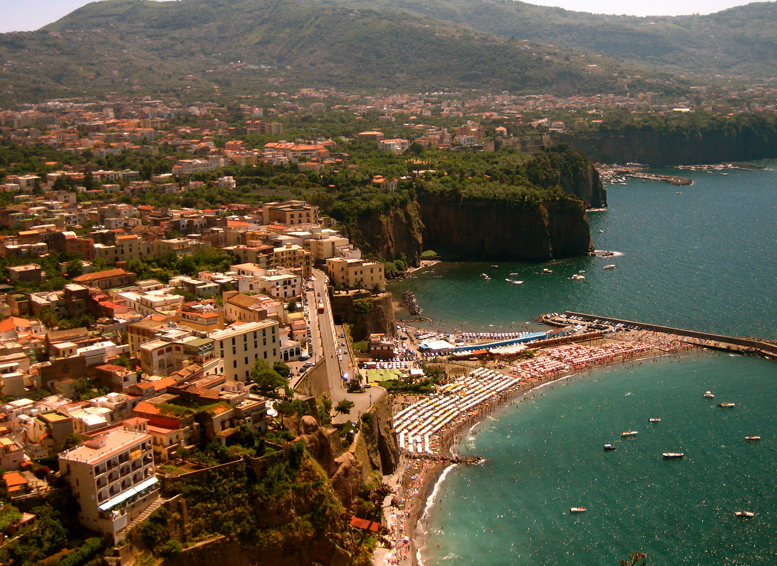 Finally, get to the city which gives the name to the entire coastline, Amalfi, a well-known holiday destination, where the climate is mild throughout all the year. -Umberto I Promenade, built in 1887, very similar to Milan's famous Emmanuel II Promenade, gives visitors a sense of sumptuousness and magnificence. -The New Castle (Castel dell’Ovo), built in 1279 on order of Charles I, is now a small museum. -The Main Church, was built in the 13th century in honor of Saint Joe, the city's patron saint. After dinner, go to the hotel to rest. -St. Peter's Basilica, where it is said that Jesus oldest apostle, Saint Peter, died. -St. Peter's Square, built in 1667, is the masterpiece of the famous master artist Bernini. -Colosseum, this huge ancient Rome’s amphitheater, records the history of the sad struggle between man and beast. -Triumphal Arch, built in order to commemorate Constantine’s victory in the Battle of Milvian Bridge. -Venice Square, also known as the “motherland altar”, is the site of the various national celebrations held in Italy. -Trevi Fountain, completed between 1730 and 1762, is the source of the Baroque style. It is another Bernini's masterpiece, showing a shaped portrait of Poseidon obtaining victory. -Spain Square, since the 17th century was the tourist center of Roman culture, nearby which Liszt and other celebrities lived. After dinner, return to the hotel and overnight staying in Rome. After Breakfast at the hotel, visit Pantheon, where were buried some great Italian artists, the most famous of which is Raphael. After lunch, a short rest, then transfer to the airport to fly back to China.